Researchers working with Health Education England (HEE) in the Wessex region have launched a study that aims to understand how doctors in training in the area experience their working lives. 2000 doctors training across all medical specialties have been invited to take part in the study, using an internet-based tool called MyDay. The MyDay tool was first used in Wessex in November 2017, with a successful pilot study of 200 doctors. The research team comprises several international specialists including Professor Rhema Vaithianathan (CSDA), Professor Karen Morrison, Associate Dean of Education, Faculty of Medicine, University of Southampton, Dr Amanda Goodall, Senior Lecturer, Cass Business School, City, University of London and Professor Agnes Bäker, Department of Business Administration, University of Zurich. Dr Peter Hockey, Postgraduate Dean of HEE, working across Wessex, has engaged in the MyDay study in the hope that resulting data will boost efforts to improve the workday experiences of Wessex doctors in training, and improve retention of this key workforce. Peter explained: “Delivering high quality education and training for our healthcare workforce is the foundation of the work of Health Education England. One of my roles as Postgraduate Dean is to look after the future of our medical workforce, including optimising the wellbeing of our doctors in training. To do this we must understand the “drivers” for their well-being. Trainee doctors who take part in the study are asked about the tasks performed during the working day and how they felt while doing them, allowing researchers to create a rich set of data. 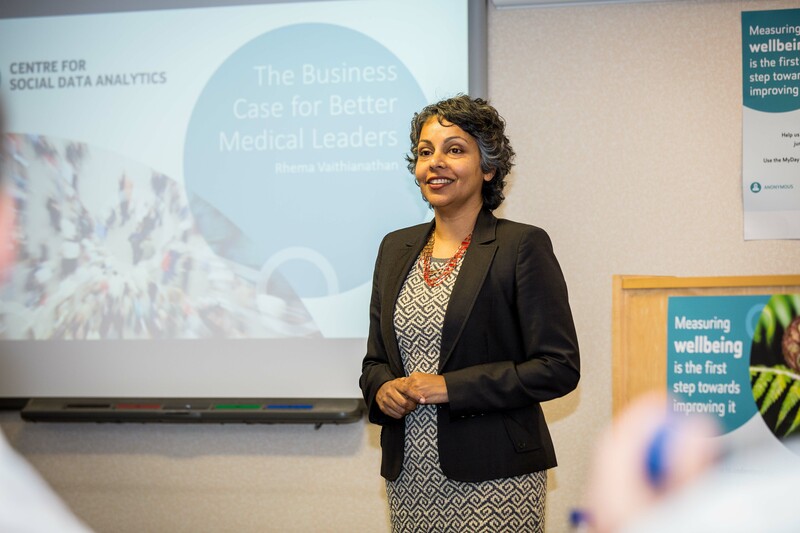 Rhema Vaithianathan said: “Accurate information about how doctors in training actually experience their work allows healthcare leaders to make well informed decisions about how best to improve wellbeing and staff retention. Participation in the MyDay Survey is entirely optional, quick, and confidential. The MyDay survey runs until August 2018, with findings delivered to HEE by the end of the year.